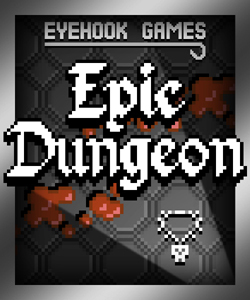 Epic Dungeon is the latest release from Eyehook Games, and it was released during the Indie Games Winter Uprising. Epic Dungeon boasts 4 playable classes, dozens of monsters, loads of glittering loot, unique encounter system, 50 deadly dungeon levels and the low price point of 80MS Points ($1 US). Upgrade your skills, stats, and equipments as you forge your path to victory in this rougelike RPG. So how does it fare? Click read more to find out of course. Epic Dungeon is exactly what the name says it is. 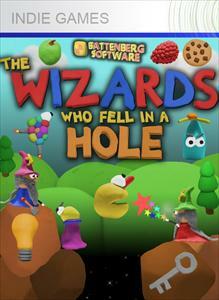 With an epic cast of classes, epic amounts of re-playability, this game is one of the best titles to date in the Xbox Indie Games Section. Sticking with a lot of the indie titles, it has the 2D 8-bit style graphics that a lot of people have fallen in love with back in the days of the NES. It also gives the game that rich classic feel, but with the extra buttons of a 360 controller. All and all it’s a good combo to have, and leads to many hours of gaming fun. As stated there are 4 different character classes to choose from. They fit the archetype that we are all used to, but have slight different names. The Beserker is for those that love playing the warrior style role and his special ability is called fury in which he swings his weapon fully around him damaging all about him. The Shaman might be taken as your wizard class, with the special ability to freeze everything around him, which comes in handy when the badies are trying their all to surround you and take you out. The Gambler would be your thief role, and he shots poison out in a circle around him. The final class is the Tinkerer, in which some might take for a Gnome style class. He summons up an orb that attacks, and helps keep the many monsters at bay. 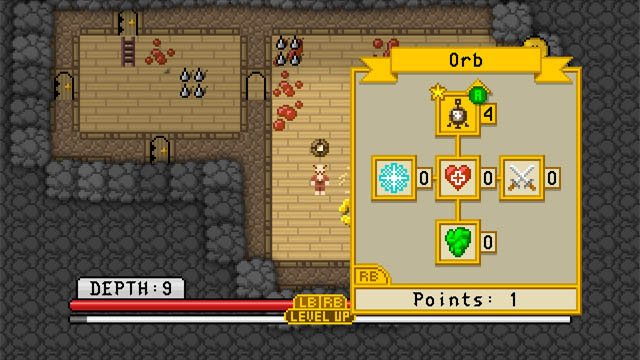 You can also order the orb to destroy itself sending out a large shock that damages all the enemies around it. Having a random map generator also gives the game an even greater amount of re-playability. You don’t have to fear playing the same dungeon over and over again! Even if you want to go through and play a different class. Leveling Up: I normally wouldn’t mention this because in RPGs leveling up is a much needed feature. In Epic Dungeon, just because you are a Beserker, doesn’t mean you can’t learn how to freeze people. Even though the Tinkerer is armed with his orb, doesn’t mean he can’t volley out a massive amount of poison. You aren’t as good at another classes skill as you are your own, but it’s still kind of cool to mess around with. The Controls: Having tight controls is starting to become a standard in the indie games found on Xbox, and that is a great thing! This game is no different. Each of the buttons are mapped out to be one of the special abilities. Left Trigger is designed to interact with objects in the world. Left and right bumpers take care of all your leveling and stats. The back button is your inventory and a quick rundown of your left bumper stats. Everything feels natural and is very comfortable, which makes this game even more enjoyable. Re-playability: I swear that I am making up this word! But being able to replay a game over and over again, and not have it feel the same is what makes a game great! Epic Dungeon has this. 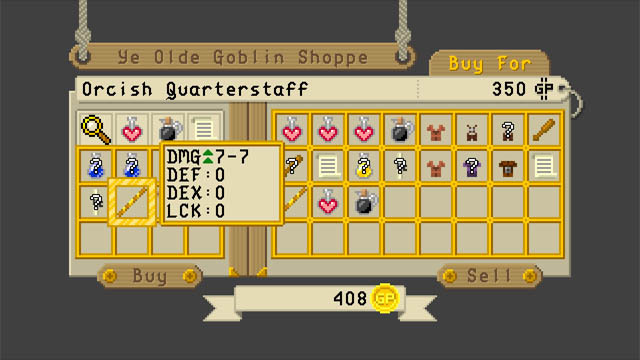 What is also nice is, when you die within the dungeon, and you get to that level again with a different character, you can pick up your stuff. Oh yeah, I forgot to mention, when you die, thats it… you are dead! You have to start fresh again. Graphics: While it is the 8-bit graphics, this game would have looked a lot cooler in a different graphical style. Please note that I am NOT saying that the 8-bit style doesn’t look good. I love the classic feel that it brings to the game and feel that it is done very well. I CAN, however, see the graphics turning a lot of gamers off to the game, which is a shame. If it was done with a 16-bit SNES feel, I could see more people jumping into it. Maybe something with Secret of Mana style graphics. IF Epic Dungeon is what the other Indie Winter Uprising Games are going to live up to, I am looking forward to the other releases. 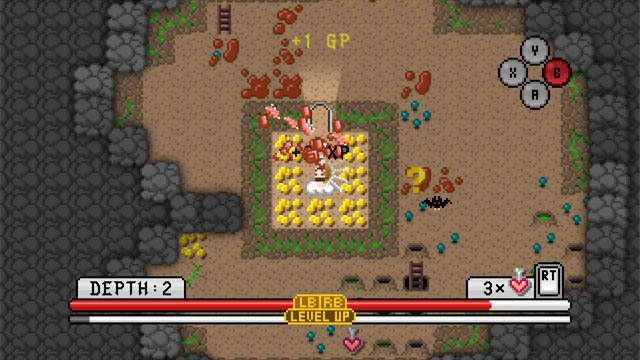 Epic Dungeon is a fun fill romp though the dungeons that you mother buried you into, which I am still trying to figure out why. I will full admit that I haven’t gotten past level 22 I think, because the game just starts beating on your relentlessly. Score: BUY IT! What do you have to lose? I will also say this, I am glad that some of you are started to take note of some of the great games that do come out in the Indie Games section of the marketplace. I now ask you all to be sure that you rate the games, so that these developers can get the love they all deserve. Also it seems I have opened the eyes of some of the other writers here at XBLAfans, so look forward to them reviewing UberGridder and Break Limit within the coming days. Now I just need to get my hands onto Radiangames Crossfire 2, and Decimation X3! Also look for my top 10 indie titles of the year sometime before the end of the year!